When the Brothers' Grimm first published the tale of a beautiful princess and her encounter with seven vertically-challenged individuals, they did not expect the story to be a resounding success the world over; with numerous adaptations of the tale, not least by the great animation spinmaker Walt Disney. Indeed the German tale of Snow White and the Seven Dwalves has been retold countless times, with several modern adaptations hitting the big screen in recent years. ACT 3 International has chosen to bring in a Canadian version of the tale for this year's ACT 3! Festival for Children. Elaborates the Artistic Director of ACT 3 International Ruby Lim-Yang, the festival is imbued with themes that are "relevant for today's children", but yet do not "lose sight" of the "artistry, craftsmanship and beauty of live theatre, as well as the fields of visual and literary arts". Snow White, to be run daily from 24 to 29 May 2016, will be produced by the “Nearly World-Famous” DuffleBag Theatre. 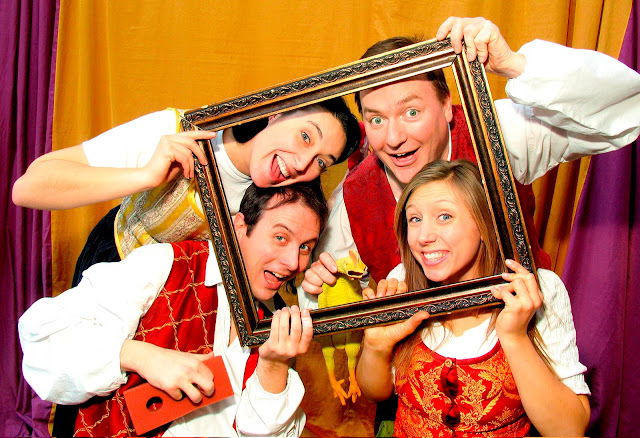 The company has been performing since 1992 and is based in Toronto, performing over 600 shows a year across Canada, the US and the rest of the world. The group is known for their extremely interactive retellings of original fairytales and Shakespearean classics. "There is never a dull moment at a DuffleBag production, where new adaptations of fairy tales and Shakespearean classics meet plenty of humour and with a dramatic twist at the end. Audiences are always invited to join in the action and feel the excitement of living a fairy tale. Armed with an original script that is sharp, well-paced and full of surprises, the talented actors are very adept at changing characters and engaging a young audience." 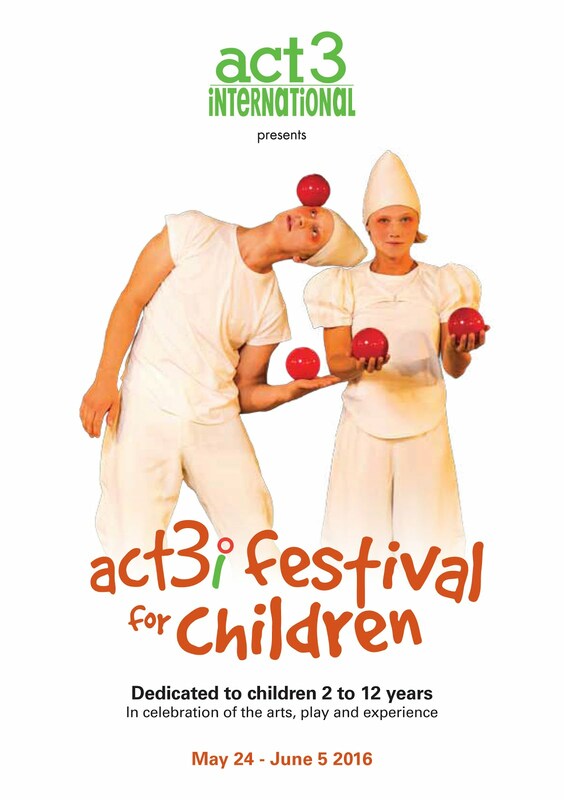 Parenting on Purpose is pleased to partner ACT 3 International to present 2 tickets for the 2pm show of Snow White on Sunday 29 May 2016. 1) Like the Parenting on Purpose Facebook page. Comment on this post and share with us why fairy tales are so popular in today's modern world. The giveaway will end on Sunday 22 May and entries must be submitted by 10pm. Full name, IC Number and Mobile Number. Ticket collection will be at the Drama Centre (100 Victoria Street - National Library Level 3) this Sunday 29 May 2016 at 1.30pm. The ACT 3! Festival for Children will run from 24 May to 5 June 2016. Shows are all internationally-acclaimed, and come from countries such as Argentina, Sweden, the United Kingdom and Italy. For more details, do refer to the ACT 3! International festival website here. Fairytales are true. While the magical nature of the tales may not be reality, fairytales contain truths that all human beings feel in our "universal mind." Fairy tales are stories that had been accompanying from young till old which leaves a very vivid memory on our childhood days. It teaches us the moral values in a very interesting fairy tales which seems to leaves a very distinctive mark in our memory. So through the fairy tales it seems that most of the children gets to be more aware of surrounding danger that are highlight in the fairy tales such as The Snow White and The Red Riding Hood. Fairy tales transport us to the nooks and crannies of our imagination. Fairy tales allow timeless values to become alive and transmitted more easily across generations. Fairy tales are the perfect way to teach important values to kids from a very young age. The reality in life sometimes contradict these values.